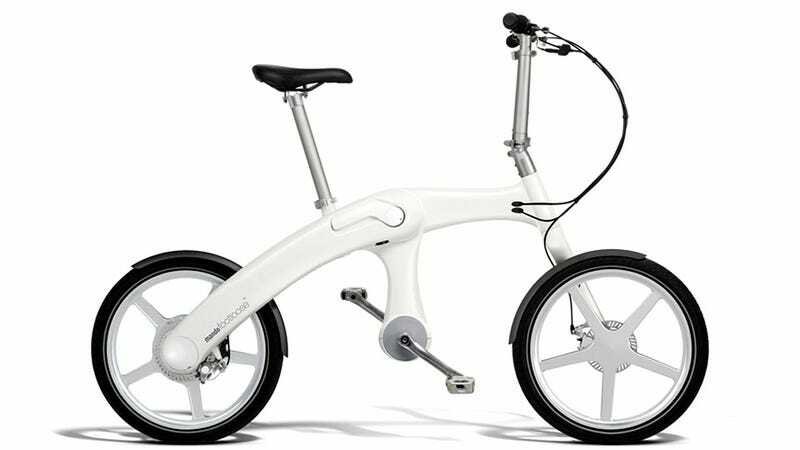 Your average e-bike is just a regular bicycle fitted with an electric motor. When the battery dies, you can just revert to pedalling so you're not stranded. The new Footloose from Mando, however, takes a different approach. There's still a set of pedals, but they're used to power an alternator which generates electricity keeping the motor running. It's like the bicycle equivalent of the Chevy Volt. The design does away with the traditional chain and gears altogether. That not only keeps the design simpler and easier to maintain, but also means the bike can fold down to an incredibly small form factor. When it's available in European markets starting next year, the Footloose will boast a range of almost 19 miles on a single charge, but that of course can be infinitely expanded as long as you're willing to put in the legwork.